Typical grid-connected rooftop solar PV system. Putrajaya (Tuesday, July 30, 2013): In response to the individuals' demand for the FiT for solar PV, SEDA Malaysia has released another 500 kW of solar PV quota for the individuals today. This will give opportunity to about 120 homes/individuals based on installation size of 4kWp. In an announcement on its official website, SEDA Malaysia said it will monitor the quota especially for the individuals on regular basis and release quota on the premise of RE Fund allocation. 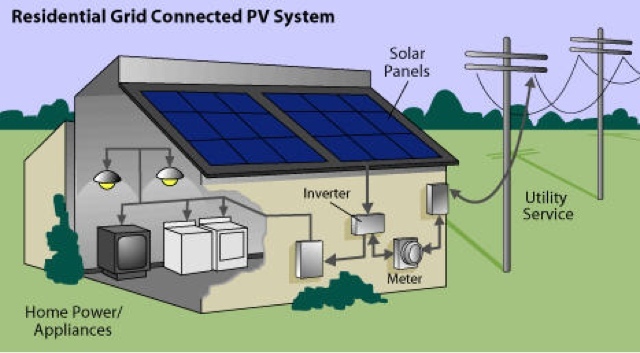 In the previous article, I wrote about the loan for financing your home solar PV system. Margin of financing is up to 90% with tenure of up to 10 years. Now that the quota for individuals has been released, it is time to grab the opportunity. supposed to be shared across the web. Disgrace on Google for not positioning this post higher!